Summer, beach days and ice cream. They’re just made to go together. When the temperature starts hitting over 30° on a regular basis, I guess thats over 85° for those that work in farenheit, my mind turns to new ice cream creations and this past weeks weather has been super hot and humid. I knew one of the recipes I needed to perfect this summer was a smooth and creamy churned Baileys ice cream. A good boozy mix that would be a treat for the adults, one that carried a real hit of the decadent Baileys flavour but not too much alcohol that the mix would refuse to set firm and be difficult to serve. The challenge was on! y recipe notebook while writing this up it does look like I make quite the exception for Baileys. Even on this site I already have a couple, have you checked out our Baileys and white chocolate fudge or these Baileys chocolate truffles, both make great kitchen gifts for friends and family. I have to say Drew’s been terribly understanding about being forced to trail and finish up each batch as I make it. Not that it’s been a great hardship, it tastes delicious. 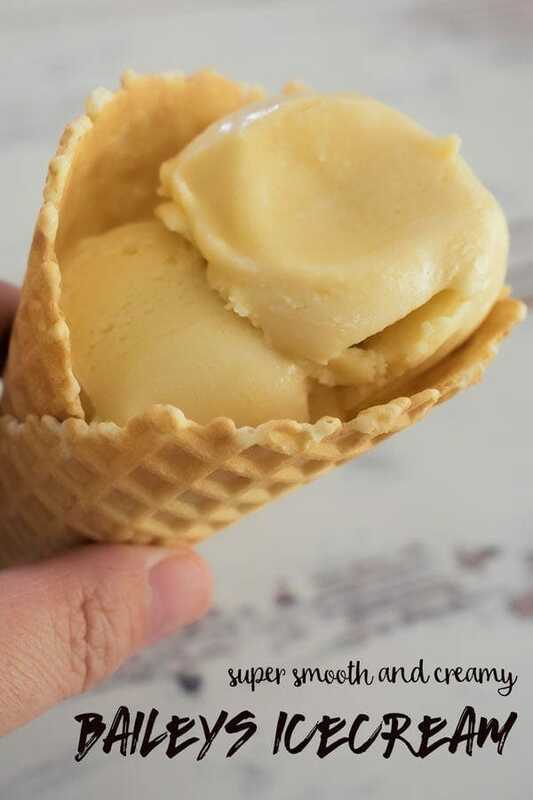 It is difficult though to tell what is the ice cream not freezing completely and what is just the ice cream melting fast the moment it leaves the freezer. An excuse for a few more test batches but I think we have a winner. Just in time for the summer barbeques and the festive party season. I prefer the texture of a churned ice cream so I always use an ice cream machine but they needn’t be expensive. I’ve been using a very cheap version I got with a point scheme back in New Zealand so it’s been going over 10 years now. That’s not to say I wouldn’t cherish the KitchenAid ice cream bowl accessory for my much loved mixer but I haven’t been able to justify it yet. How many ice cream recipes do you think I need on rotation to require an upgrade? Anyway over to the recipe. If you love Baileys as much as I do I hope you’ll give it a try. This one is for the adults only. Smooth, decadent and a little boozy. It's so smooth and delicious either on its own, topping a special dessert or a memorable affogato after dinner. Using a mixer beat the egg and sugar until pale and smooth. It will take around 2 minutes but the sugar will dissolve and the mixture becomes creamy. I do this in a jug to make it easy to pour into the machine later. Add the remaining ingredients and mix well with a spoon until well combined. Cover and place into the fridge for at least 2 hours to chill completely. 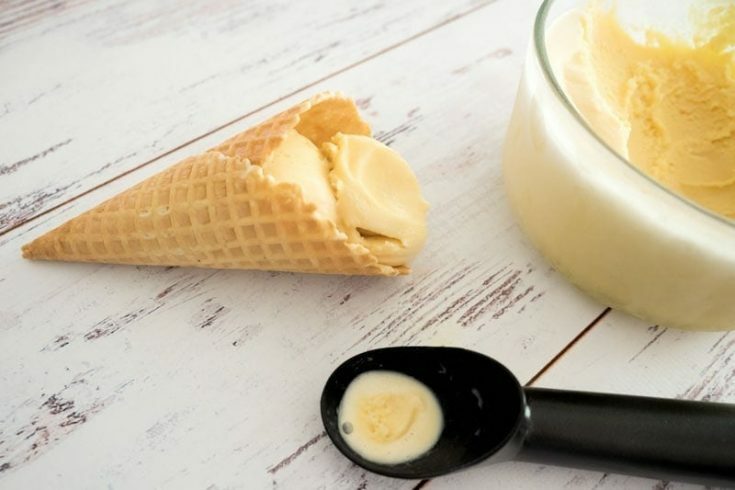 Following the instructions for your ice cream machine, give the mixture one last stir to make sure it hasn't settled out while resting in the fridge then pour into the machine. Churn until ice cream forms. If you prefer a firmer consistency or are in a particularly warm environment you may want to then store it in the freezer in a freezer proof container for a couple of hours, or until ready to use. 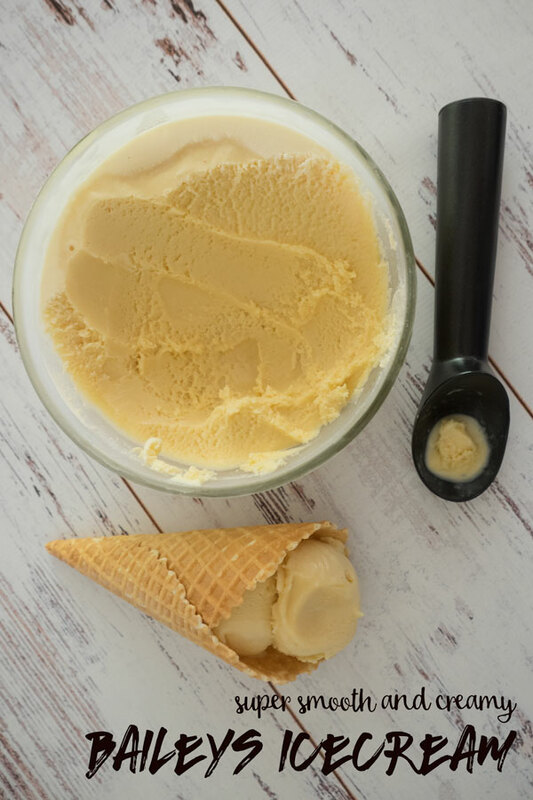 I always make my ice cream with a custard base, will have to give your uncooked version a go. Would save a lot of work. Ohhh I love a good custard base too but find both options work well. This sounds amazing, thanks! Tried Baileys brownies recently, couldn’t stop with just one! Mmmmm Baileys Brownies, now you have me thinking, they would be amazing!